The Standing Stone: Ardara Bridge, Cadamstown, Co. Offaly. Ardara Bridge, Cadamstown, Co. Offaly. 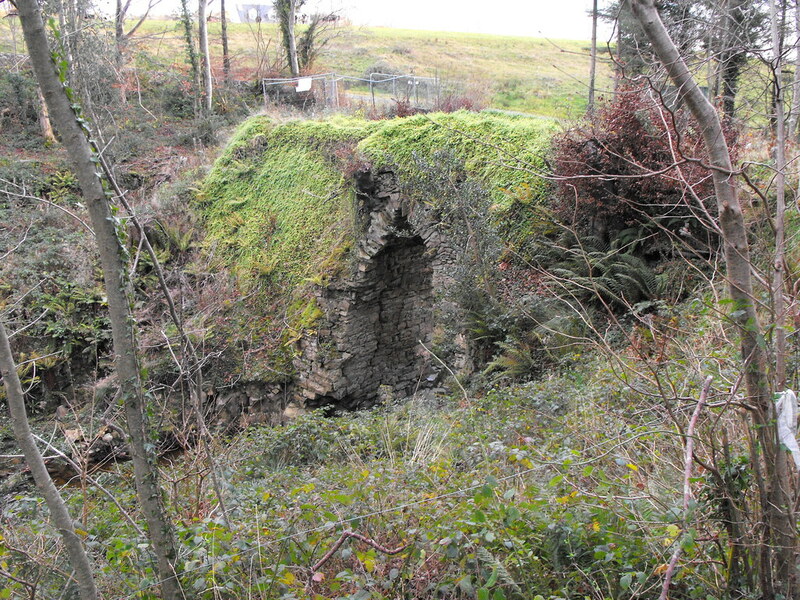 Location – Just N of Cadamstown on the ‘Offaly Way’ walking route. 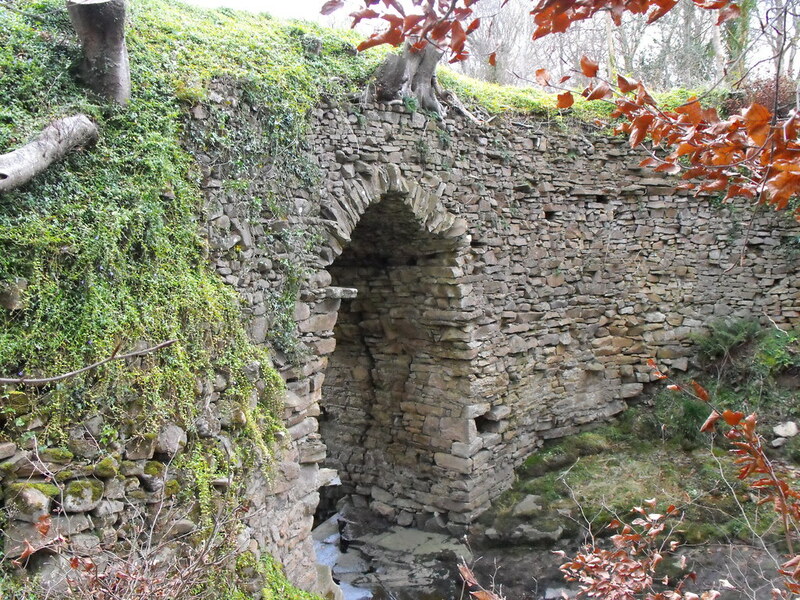 Description and History – This bridge is an absolute gem and one of Offaly’s hidden treasures. It is off road and a little tricky to get to. Although it is on the ‘Offaly Way’ you have to go through a garden with ‘no trespassing’ signs in it. However, when I asked the owner he was more than happy to let me pass so do ask permission since access is through a private garden. Once you get onto the walking trail it is still about half a mile and it is not an easy half mile. 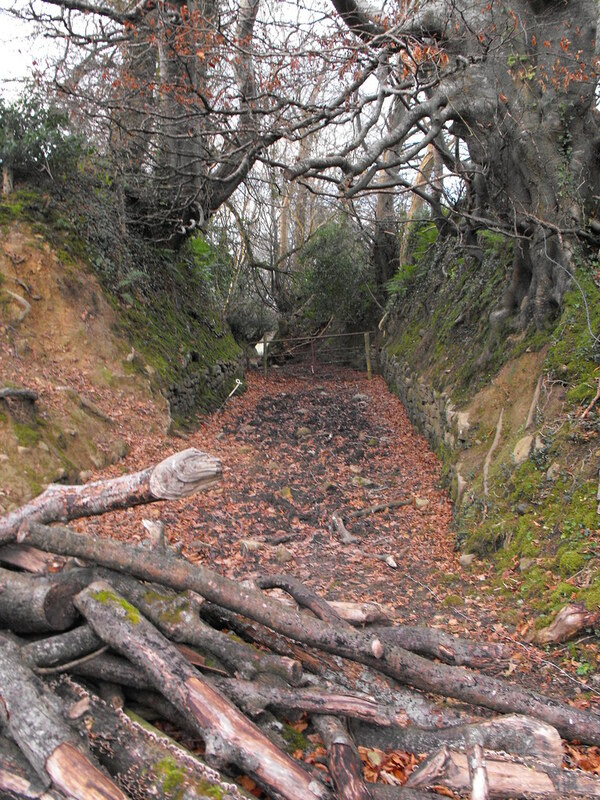 The trail is wedged between the river and a bank and it collects water and is very muddy. I had to jump from clump of grass to clump of grass to avoid losing a boot. But the trek is well worth it as you finally get to the picturesque bridge. The river has cut down into the bedrock and the bridge has been built over one of the deepest sections and links the banks on either side. It is built with stone and mortar and is 3m wide and about 7m high with a pointed arch. The Road Act of 1727 made law that bridges had to be 12ft wide at least. 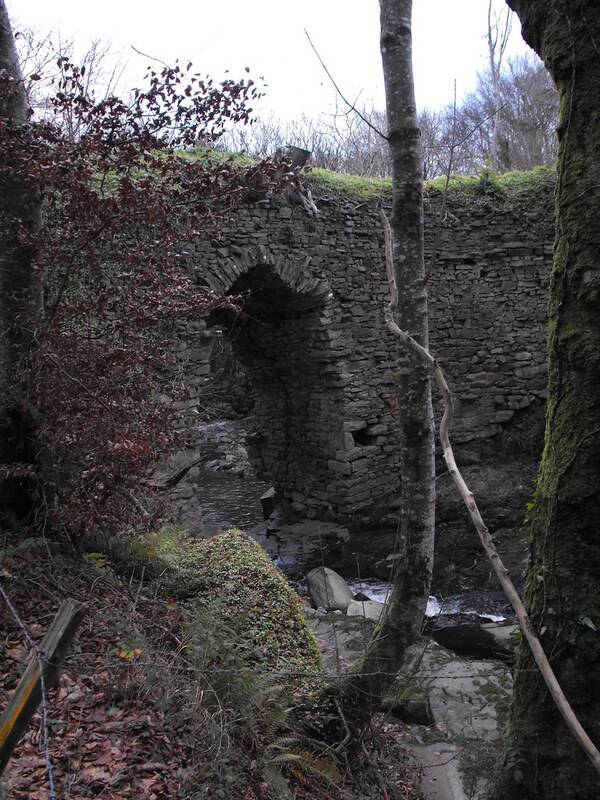 This bridge was not altered and has been disused since then. 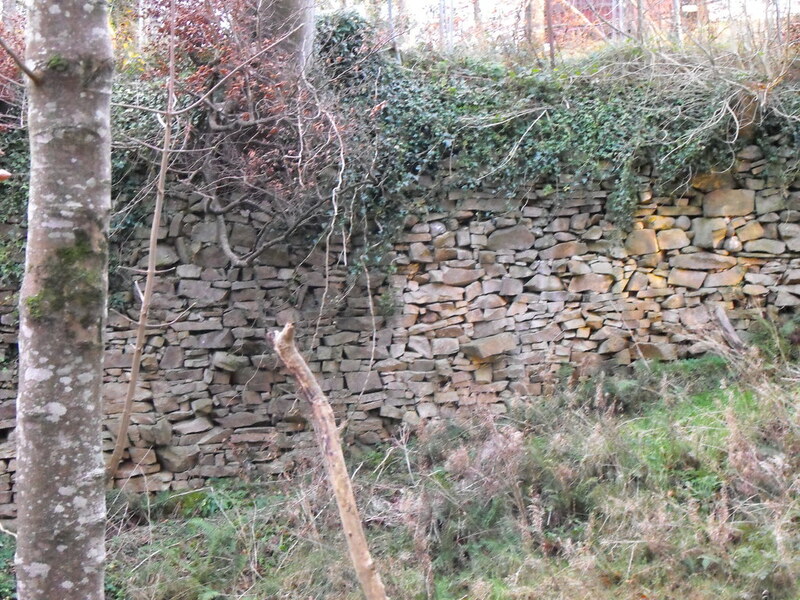 It was probably associated with the now destroyed Ballymacadam castle which was located nearby. Meanwhile the bridge is crumbling into the river. 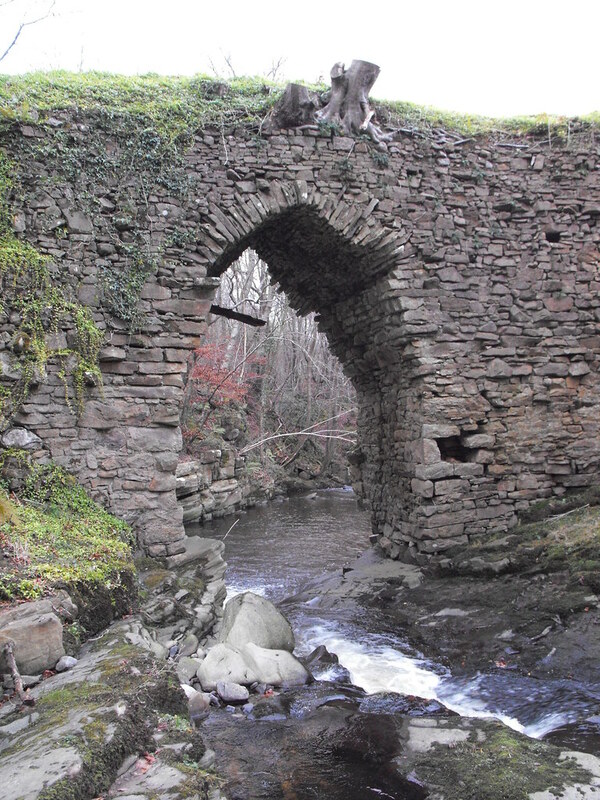 It is in a beautiful location and is of great architectural importance as there are so few pre-1727 bridges still as they were. Difficulty – It’s a muddy difficult walk about half a mile long but well worth it. Bring your wellies and watch out for cattle. For more bridges, click here. For more sites in Co. Offaly, click here. As viewed from the NE side. As viewed on the SW side. The stone work is really quite amazing. Looking down from above. It has been fenced off for safety reasons. The path the leads from the bridge. It no longer goes anywhere and just disappears into a field. Any roads that connected to the bridge either no longer exist or have been diverted. It really has been left back in time. Nice post. My family own a portion of the land that you walked on, including the bridge site. I apologise for the muddy walk to the bridge; cattle graze on the land for a good portion of the year, so they tend to churn the soil up. I recommend wellies all year round, unless there has been a dry spell and the ground has had a chance to dry out. The ground does tend to be uneven and the there are chances of twisting an ankle, so take care. I wouldn't recommend people who are unsteady on their feet walking the trail. The cattle are usually just curious but it is worth being cautious. 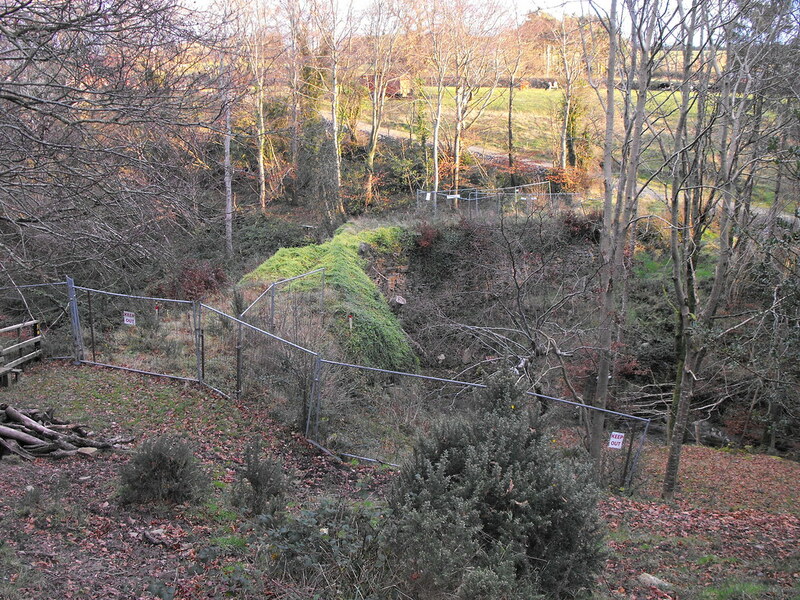 Before the OPW took guardianship of the site, the bridge used to have a lot of foliage growing from it and there was also a denser tree canopy above. Even though there is more light, I preferred it when it was taken over by nature! The trail continues down to a river basin where, if you're lucky, you might catch a glimpse of the resident kingfisher or some otters. The track continues down the course of the river towards ancient crannogs. It is a lovely walk to do on a summer day. There are other places to go around Cadamstown, Kinnitty and up the Slieve Blooms so I recommend researching the available walks. And finally, please don't litter!